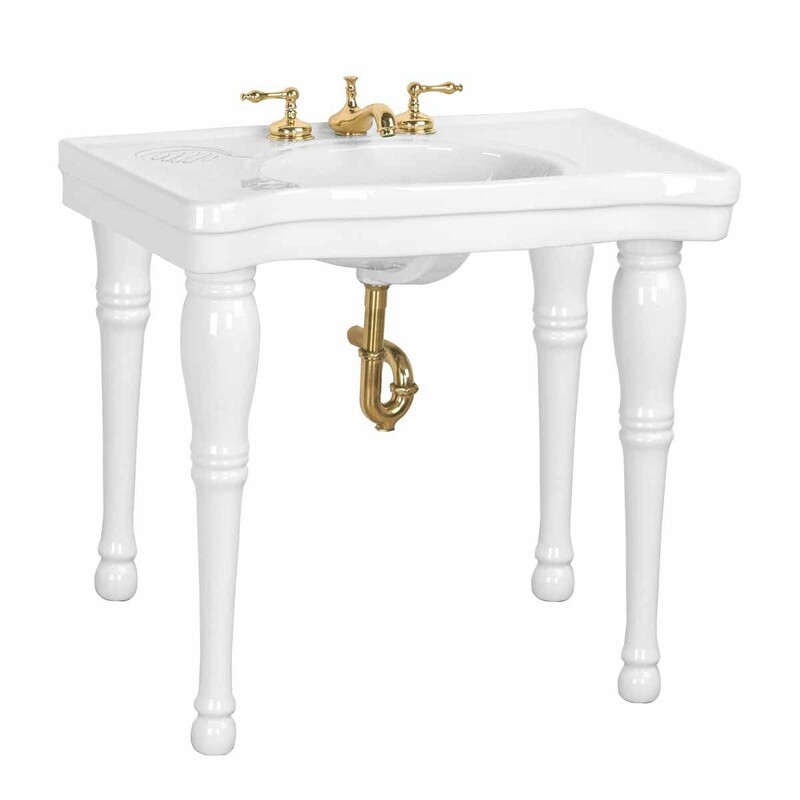 Belle Epoque Deluxe Console Sink captures the elegance of the Belle Epoque period and is guaranteed to spread an elegant charm to your bath. Choose your top quality and hard to find Spindle Leg Sink today. 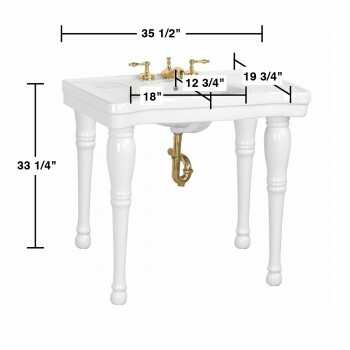 Features: - Spacious countertop - Elegantly tapered birch SPINDLE legs - Self-draining soap dish - Protective splashguard rim. - Grade A vitreous china construction with a SCRATCH and STAIN resistant RENO-GLOSS finish. - Accepts an 8 in. 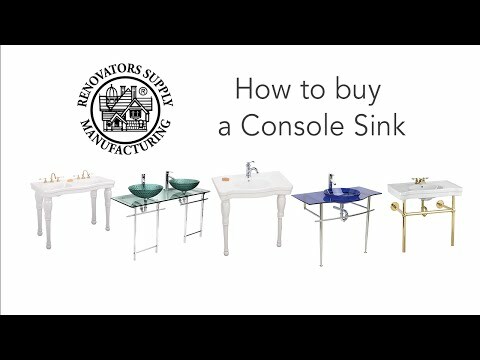 widespread faucet sold separately. 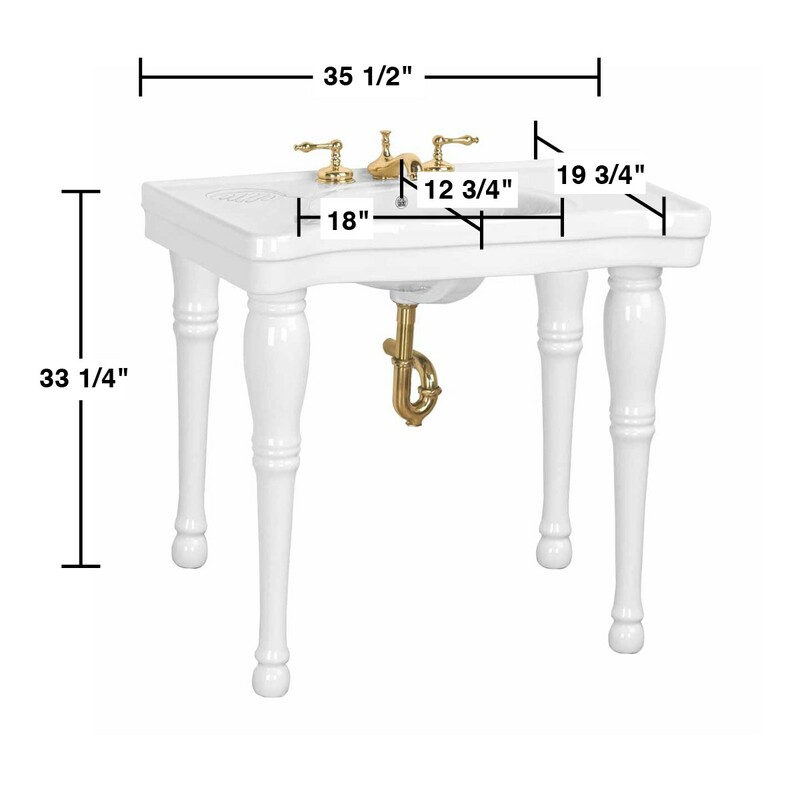 Dimensions: - Measures 33 1/4 in. H x 35 1/2 in. W front x 19 3/4 in. proj. Item ID 16831Features Authentic Renovator's Supply Logo. 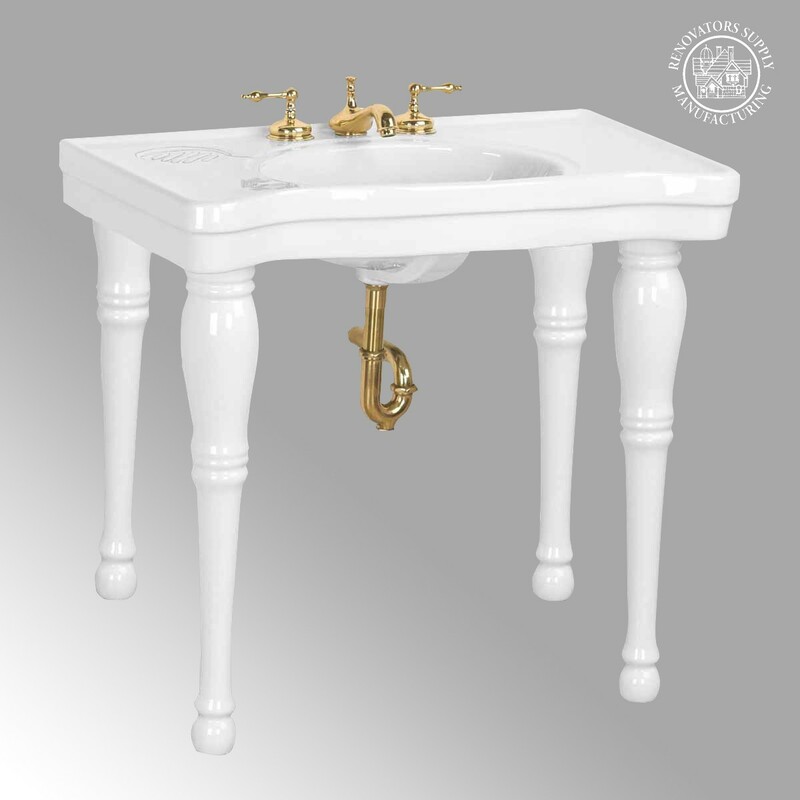 Recreate the timeless elegance of the Belle Epoque era in your very own bathroom. It's easy when you choose The Renovator's Supply! 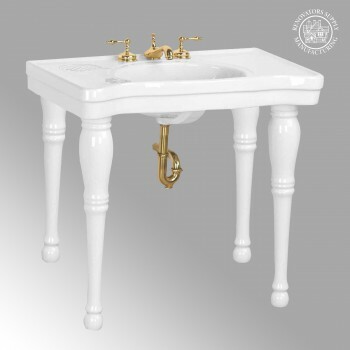 Our Belle Epoque console sinks have several desirable features, including four solid spindle legs, a spacious countertop, a splash guard and are scratch and stain resistant. Shop for yours today in white, bone and black!